Hope that you do know about Google Webmaster Tools. 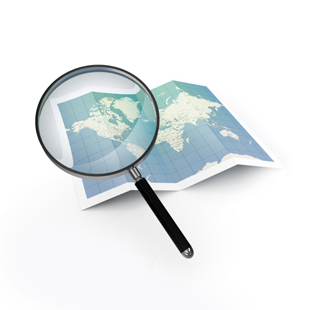 This tool enables Webmasters to provide a better and detailed information of their site to Google. This will greatly help you in your SEO needs. 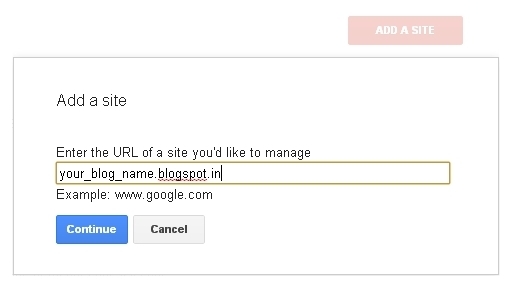 Webmaster Tools allows you to submit your blog's sitemap so that Google gets a better idea of your blogs structure. Blogger’s "Robots.txt" file automatically specifies a sitemap URL (The blog Feed), but it would be even better if you manually add the sitemap URLs to Google Webmaster Tools. Login to Google Webmaster Tools with your Blogger account. If its not listed, Click on the Add a site button and provide your blog URL there and hit continue. It will now ask you to verify your Blog using any of the two methods. You can use any of those. The File upload method would be simpler. Verificaion of site is done in two ways. File Upload Method :– Change the Verification method to Upload an HTML File. Ignore the file download and upload instructions provided there. Google will automatically download and upload that file for you. So just ignore the instructions and hit the Verify button. Your blog should get verified now. Copy this Code, login to your Blogger Dashboard navigate to Layout > Edit HTML and place this code somewhere above </head> Save the template, come back to Google Webmaster Tools and hit the verify button. Once your blog is verified you can add sitemaps for your blog (From the Left Pane > Site Configuration > Sitemap). In the sitemap URL give the following URL as shown in this screenshot and click the Submit Sitemap button. Once you have added the Sitemap, you can play around with the different other tools in Google Webmaster Tools. It will provide you with a better analysis your site, show you the sites linking to you, help you in managing your site links and much more.